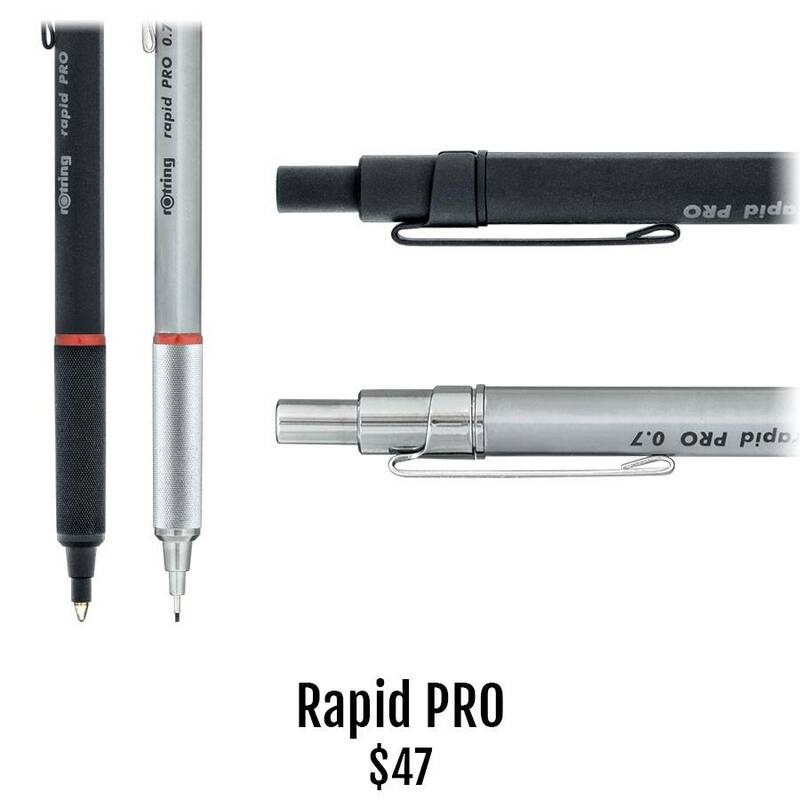 The Rotring Rapid PRO mechanical pencil is offered with a .5mm, .7mm or a whopping 2.0mm pencil point. Add a Rapid PRO ballpoint for a complete, precise set and you will be ready for any task. This softer, hexagon shape has a comfortable knurled grip. Shiny chrome appointments accent the matte silver finished, while the black model sports stealthy matte black trim. Both .5mm and .7mm pencils have erasers under the click-top, but the 2.0mm model has a unique lead sharpener instead. All lead sizes and eraser refills are available below. Any Parker-style ballpoint refill fits your Rapid PRO ball pen.